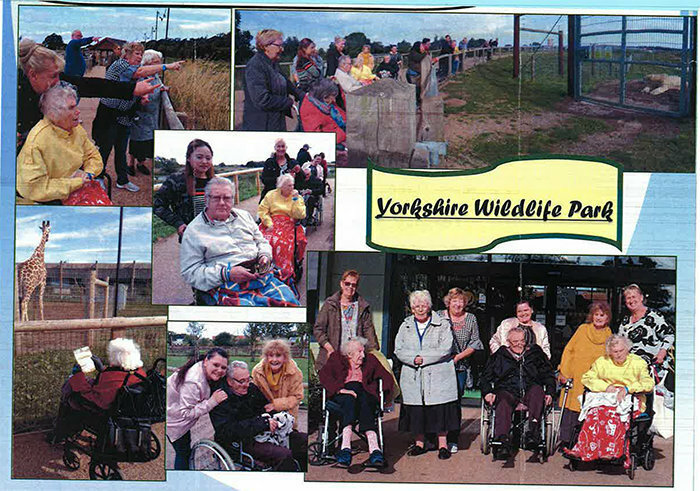 Residents from Rose House residential care home in Armthorpe, Doncaster, recently enjoyed a day out at Yorkshire Wildlife Park. Even though the days are getting cooler, now that we are venturing into the Autumnal months, we still encourage our residents to get outdoors, enjoy some fresh air and experience what life has to offer. Located close by to our home, which provides expert care for elderly people, including those living with dementia, Yorkshire Wildlife Park is on Rose House’s doorstep. Thank you to all the staff and loved ones who volunteered their time. Our Activity Coordinators and care professionals, in each and every one of our care and nursing homes in the UK, plan suitable activities and entertainment, with residents past times, hobbies and interests all in mind. If you would like to find out more about Rose House or would like to visit us, take a tour and meet the team, please call us on 01302 831450, email rose.house@runwoodhomes.co.uk or click here to view the Rose House web page.